Yes, you have read correct, fly-out, not fly-in. 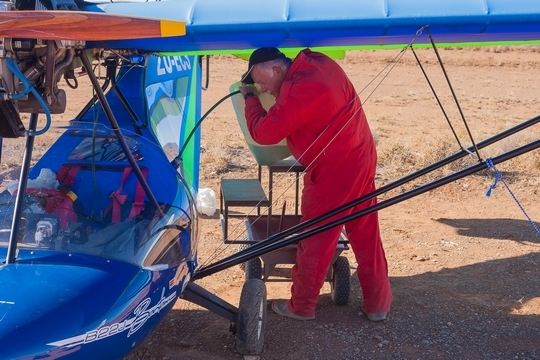 Since the loss of their main sponsor due to temporary shifts in commitments, it was not possible for the Carnarvon Flying Club team to present the fly-in in its customary form in 2014. The club made the decision that instead of having a watered down fly-in they would be rather cancel the event. However, due to a general itch in some strategic anatomical place it was felt that May is still an aviation highlight in Carnarvon and something must be arranged. They thus made the decision to call a general get-together of aviation lovers and call it a fly-out. 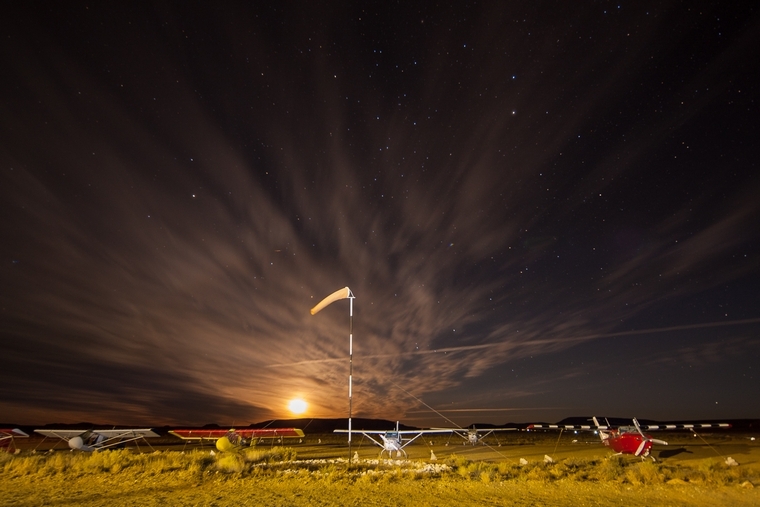 The normal Saturday flight to the pans was always popular so the plan was that the weekend should start with arrival at the pans and a sleep out the Friday night. Saturday morning would see the "flying circus" move to the town's airfield with a dance/party the Saturday evening. This format received very little interest and the club decided to forgo this idea. 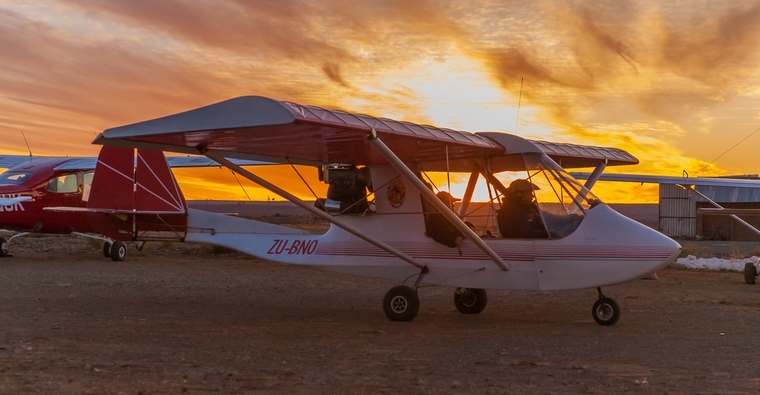 The final format were arrivals on Friday at the Carnarvon airfield as usual followed by a leisurely Saturday with a dance the evening and departures on Sunday. But even this did not spark the imagination of the aviation fraternity and only 10 aircraft made muster. Few they may have been, and 4 from Carnarvon itself, but still some visitors hailed from distant places like Pretoria, Cape Town and Gansbaai. In spite of the low attendance figure, the attendees still enjoyed the weekend. In spite of a stiff, chilling wind for most of Friday and Saturday there were always some movement. A few people zipped off to nearby farms to attend to business while some sampled the local cuisine in town. Speaking of food, the club supplied a nice dinner of braai meat, wors, salads and freshly baked bread on Friday. 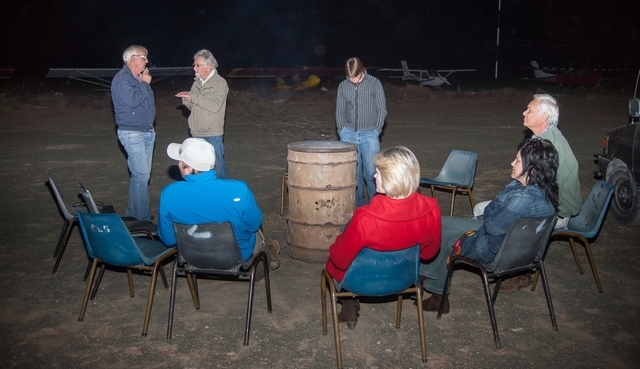 The local agricultural society had food available on Saturday, including a braai dinner, while the club ran a little counter in the hangar corner where they supplied "cold remedy" to the needy souls. 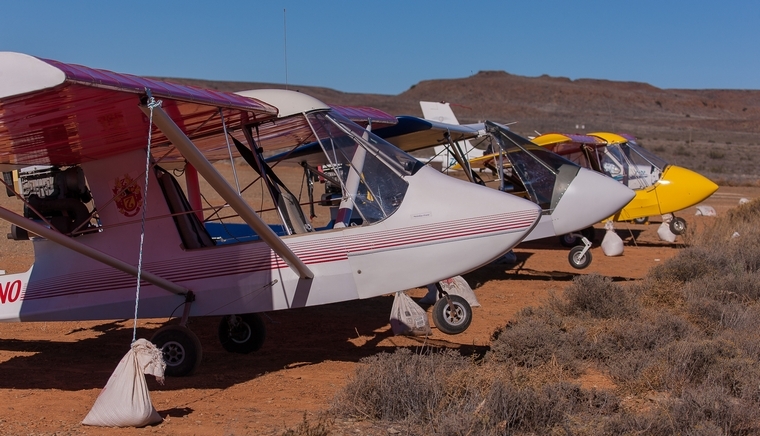 In spite of the low attendance this year, Carnarvon remains an interesting event on the local aviation calendar. Knowing that few aircraft were expected the club still made every effort to impress to make it an enjoyable weekend for all. We hope that the sponsorship problems will be sorted and that 2015 will see the fly-in back to its former self.